Earn 2099 loyalty points when you order this item. 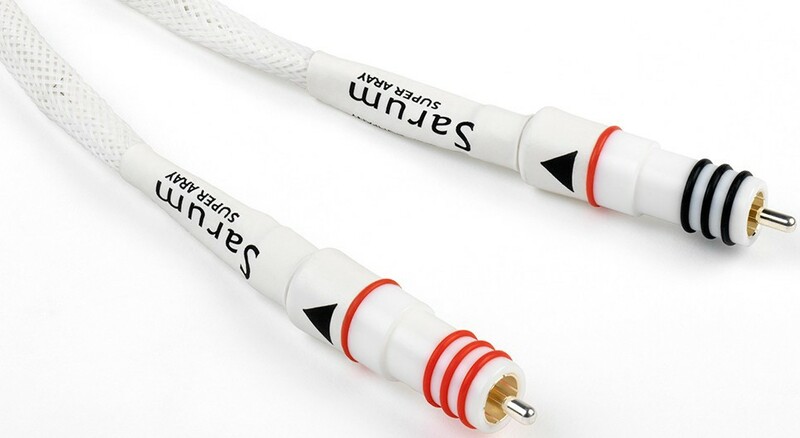 Chord Sarum Super ARAY RCA cable takes all that made the Sarum Tuned ARAY cables so special and seemingly removes yet another layer of noise, revealing a startling new level of musical detail. All the detail there is means nothing if it’s not delivered coherently. This is where Sarum Super ARAY really makes its mark, it delivers coherence and that makes all the extra detail not just easy to hear but easy to listen to as well. It adds dramatically to the sense of performance and with an ease and naturalness that makes listening to music a pleasure for hours on end. 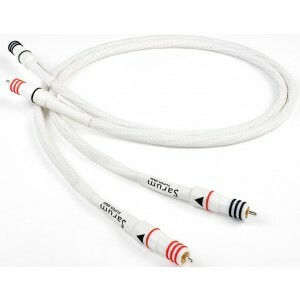 The new Sarum Super ARAY RCA cable is fitted with a new PTFE plug surround. Like the acrylic plug surround fitted to the Sarum Tuned ARAY, the new PTFE version has been precision machined by a specialist company in the UK. We’ve used PTFE for many years and the benefits of switching from the acrylic surround to the PTFE plug surround are extremely easy to hear. The ultimate performance of any audio cable is always the sum of the parts and this is where the new PTFE plug surround comes in. The Sarum Super ARAY uses the same conductors and cable as the previous Sarum. The changes are the improved Super ARAY technology and the new PTFE plug surround. The new Super ARAY technology is a really profound upgrade to performance in every way and goes a long way towards turning a hi-fi system into something that delivers a real musical experience. 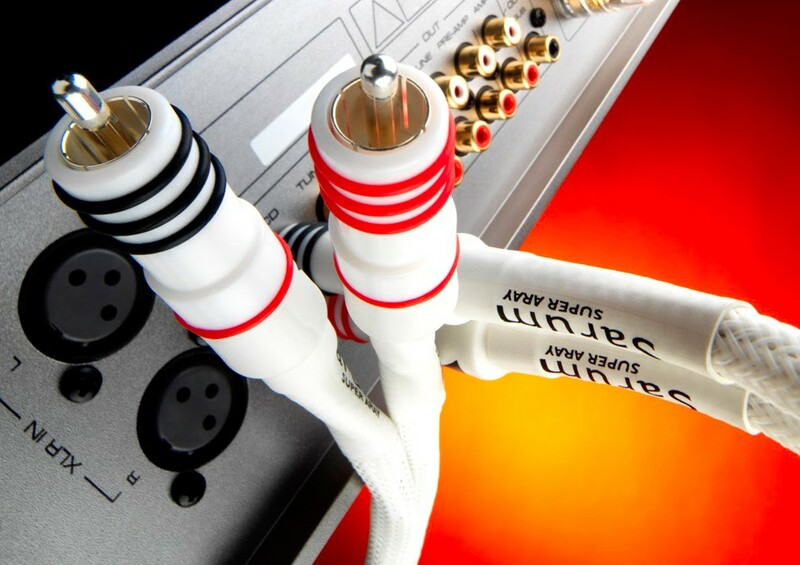 The new RCA plug surrounds are visually striking but the Sarum Super ARAY is far more than a set of PTFE RCA covers. It’s pretty hard to better the conductors we were already using in the previous versions of Sarum, so the same micro-polished silver-plated conductors are used, along with a gas-foamed PTFE dielectric and the unusually high-density foil and braid combination shielding. What’s undergone a real change is the move from Tuned ARAY to Super ARAY technology. After a lot of experimentation, we have been able to add a second ARAY to the existing Tuned ARAY design. The tuning process is very different and the end result is big step forward in performance. The new Super ARAY design requires the same exacting build as the previous Tuned ARAY version, and again a combination of precision machinery and meticulous hand assembly is used. Existing Sarum Tuned ARAY cables that are upgraded are completely disassembled and then carefully re-built. Signal pins and earth shrouds are all examined and replaced if necessary, the new Super ARAY conductors are fitted and the cable is then re-built and fitted with the new precision machined PTFE plug surrounds. The advantage to having a cable upgraded is that the burn in process for an upgraded cable takes considerably less time to burn in than a new cable does. Although it must be said that the benefits the new Super ARAY cables bring will be obvious from the moment the cable is fitted. 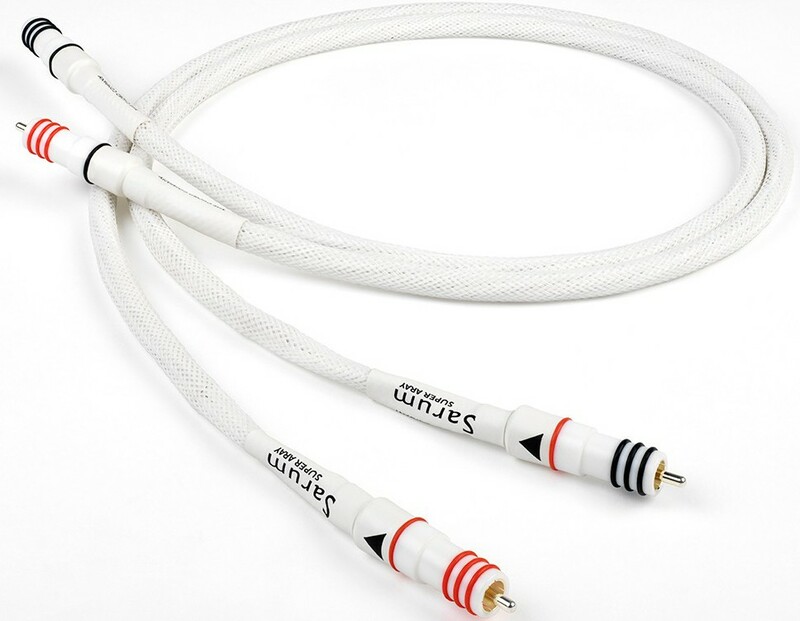 Anyone who already owns a Sarum Tuned ARAY or Sarum cable can return their cables to us and have them upgraded to the new Sarum Super ARAY specification. Sarum Super ARAY is far more than it appears.